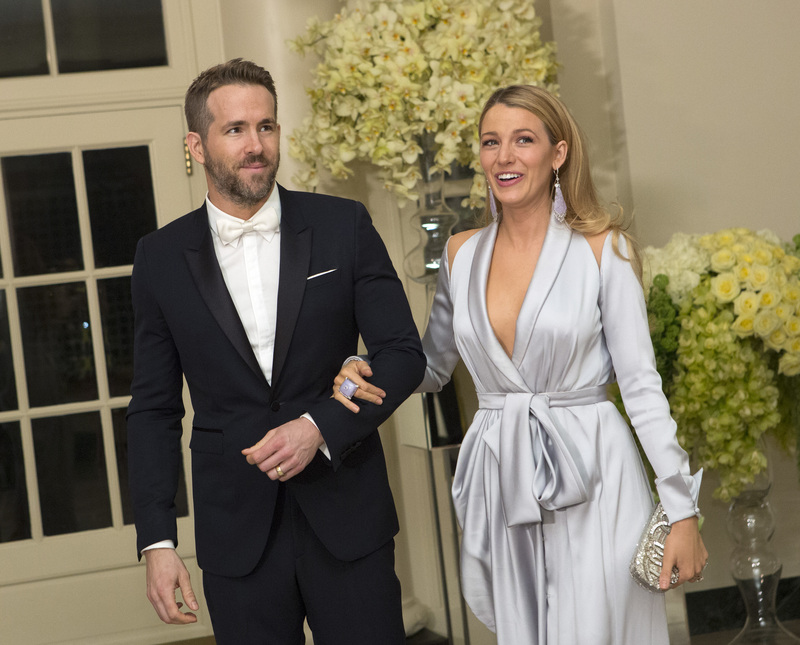 If you didn't know, because the angels forgot to personally deliver the message to you: Blake Lively and Ryan Reynolds' second child has been born, according to multiple sources. (Bustle has reached out to a rep for Lively and Reynolds for comment, but has not yet received a response.) According to Page Six, the baby was born in Manhattan, but not other details have been released. Since this satisfies exactly zero curiosities for those of us way too invested in Lively and Reynolds' adorable relationship, we're left to wonder things like, what did Lively and Reynolds name the baby? We want to know, you guys! The good thing about the pair is that although they really value their privacy (and who can blame them? ), they do let their fans in on tidbits about their family eventually. The bad thing? "Eventually" is kinda, sorta an indiscriminate amount of time. It's basically whenever they feel at ease enough to inform the public of their goings-on. Case in point: When they had their first child, we didn't even get to know Lively was pregnant until she released the positively gorgeous photos from her baby shower. And, if you recall, once she gave birth, the actors also didn't reveal what their daughter James' name was for what felt like eons to a curious fan and baby-name obsessor like me. If we're going by the time schedule they followed with James, then we'll know the baby's name sometime in January. Right about when all the new baby craze dust will have settled. With their first child, as per Today, they waited three months to announce her name. More specifically, Reynolds nonchalantly let it be known in an interview with Willie Geist. And he explained the reasoning behind why they waited to tell people, and it's actually super endearing. He told Geist, "I didn't want to be the first guy screaming it out to the media. Because as we know, little girls turn into teenage girls and little teenage girls sometimes scan through the archives and go, 'Why did you do that?'" I'm sure that Reynolds and Lively will give their new baby the same care and consideration, so we'll just have to wait. And, that's OK.